"Shoot The bottle Club Edition" game is very fun addicting game. Shoot The bottle Club Edition is about shooting as many Lamps as you can in the fixed amount of time. Features:- Easy to play, fun for all ages Smooth Gameplay Better User Interface Endless hours of play. Download it and give your feedback about the game. Features:- Smooth control! Easy and Difficult Mode Easy to play yet addictive! 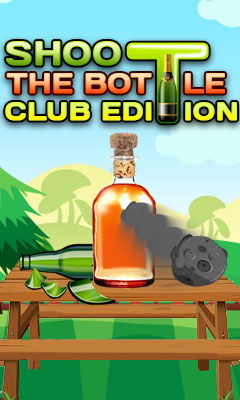 "Shoot The bottle Club Edition" is free to download and play.